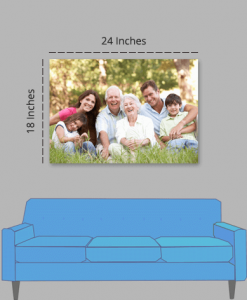 Get your Photos printed on a Landscape Orientation Canvas Frame Online. 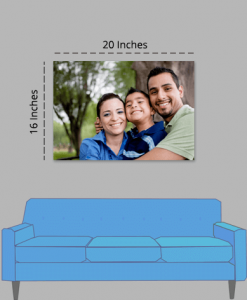 This is the perfect canvas for Family Photographs, Scenery Pictures and any other pictures where the width exceeds the height. 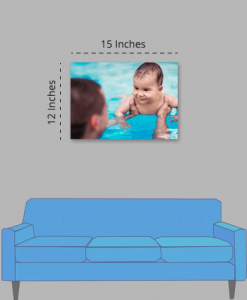 Fill the empty walls of your place with a Custom Made Photo Printed Canvas with Vibrant Colors. The Landscape Image Printed Canvas is available in Multiple Sizes of 15″x12″, 18″x12″, 20″x16″, 24″x18″, 30″x20″ (All Sizes are in Inches). This makes them perfect for every area of your home/office - from your Drawing Room to your Study Room. Your Landscape Canvas is just a click away! Design your canvas online with our easy-to-use design tool, order within few minutes and receive it within 6-7 working days. 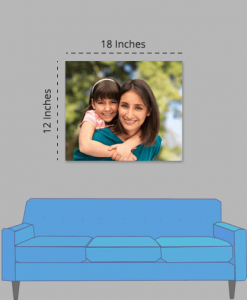 Now you can buy custom photo printed canvas online from the comfort of your home. Our Canvas Offerings provide the best options to Decorate your Homes or to Gift to your loved ones with the memories printed in High Definition color quality.